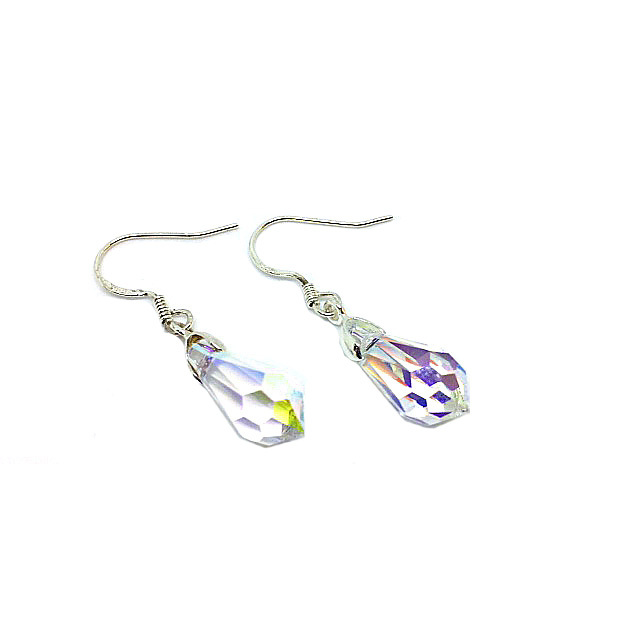 These beautiful Sterling Silver Swarovski Earrings exude modern sophistication and look great day or night. In a natural clear colour, these earrings will pair beautifully with any outfit. These gorgeous earrings feature stunning multi-faceted AB Swarovski element teardrop crystals that measure approximately 12mm glistening beautifully in an array of colours when they catch the light. These beautiful Sterling Silver Swarovski Earrings exude modern sophistication and look great day or night. In a natural clear colour, these earrings will pair beautifully with any outfit. These gorgeous earrings feature stunning multi-faceted AB Swarovski element teardrop crystals that measure approximately 12mm glistening beautifully in an array of colours when they catch the light.